User enrollment exposes a password manager’s true cost. Recently, I found myself in a discussion about the true cost of a passwords reset. Ironically, I was in a position where I had to defend spending more as part of a strategy to lower Help Desk requests and operational costs. In comparing software to software, the conversation started a little topsy-turvy, because who doesn’t want to pay the lowest fee up front? The problem begins by limiting your comparison to only the purchase price. As you’ve read in my other blogs warning against security vulnerabilities inherent in cheap password managers, the problem with paying less is you end up paying more for costs that could have been prevented with more forethought. This blog reveals how to calculate the true organizational cost of password resets and recommends ways to ensure you receive the greatest value from your enterprise password management software. The calculation of the true cost of password resets starts with the purchase amount for a password manager, but it doesn’t stop there. To uncover the true cost, you must also consider the value, which is determined by user enrollment and adoption. Adding to the calculation, you must include the cost for Help Desk to fulfill password reset requests from those who do not use the system. And finally, time must be factored into the equation to show your return on investment. To demonstrate the calculation of the true cost of password resets, I will use two case studies from our customers’ experience over a three-year period. For comparison, and to keep confidentiality, I will use the same number of users and cost for Help Desk password resets. The first case study comes from a new customer. The calculation is based on the true cost they experienced with a competitor’s password manager. In this example, an organization paid $15,000 for their solution. Of their 3,000 users, 30%, or 900 used the system for self-service password resets. After settling on a cost for a Help Desk password reset request, you need to determine the number of users who do not use your password manager’s self-service password reset feature. In the first example since data showed 900 users practiced self-service, 2,100 made Help Desk requests for password reset. For both case studies, let’s assume one Help Desk request per user. If you know this number for your enterprise, plug it in. For those that do not know their actual number, run estimates from one to three for a low, medium and high range. As you can see, password resets cost the organization $46,500 or three times as much as the password management software. The second case study relates the experience of a long time customer that also happens to be one of the largest enterprises to deploy our software. For consistency and confidentiality, numbers are scaled to size. In the second example, an organization pays $24,000 for our solution. Of their 3,000 users, 98%, or 2,940 use the system for self-service password resets. 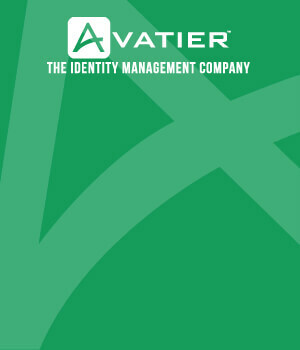 The second case study shows Avatier costs an organization about half as much as the cheaper solution. It represents how an organization can receive the optimum value from an enterprise password management solution. For those of you who are still reading, you probably are waiting for my recommendations. 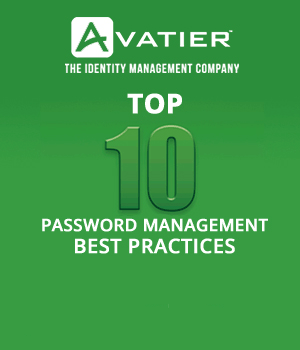 To receive optimum value from your password manager, you must manage enrollment, offer options and automate ticketing. Aside from technology, you will likely require new processes, training and company-wide communication too. Both Help Desk and end users need to be made aware of the true cost of password resets. The topic of optimization clearly deserves more attention. I also recognize I’m running long. For this reason, I’ll commit to covering best practices for achieving 100% end user enrollment in another blog. In the meantime, the surest way to learn more is to attend this year’s HDI Conference in Las Vegas. Our longtime customer, Halliburton, will present “Stop Paying Twice For Your Password Management Solution” at Session #510. During the session, you can learn the metrics, processes, procedures and technologies Halliburton leverages to achieve 98% user enrollment.